Angie is on probation and has been demoted for failing to follow orders when taking down The Baptist. While Angie is confined to a 9 to 5 desk job, she investigates her past trying to find out what happed to her as a little girl. Meanwhile, Maddocks is following the investigation of the girls with the barcode tattoos who were found during the investigation into The Baptist and finds out they have stumbled across something much bigger than a serial killer. 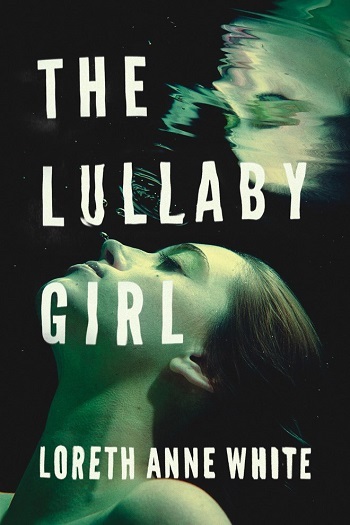 The Lullaby Girl is a very satisfying read, but it takes patience. There are two parallel mysteries as well as a struggling romance and the author does not rush the story. The writing, like the police investigation we are following, is methodical and detailed. 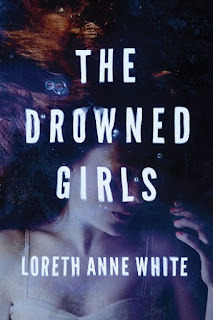 A few times reading the detail was laborious, but it all works to set the scene of the complex investigations and relationships we are following and the payoff for the reader is well worth it. I've spent the last three days absorbed in Angie's life and even though it is very dark at times, I didn't want to leave. She is a strong, intelligent, determined heroine but she is also imperfect, which to me makes her that much easier to love. I am thrilled to see there will be more novels for Angie Pallorino and I look forward to seeing where life takes her next. This is the second story in the series and I do recommend that you read the previous book so that you have a good grasp on who all of the characters are and what the back story between Angie and James is. Angie got into some trouble at the end of the first book and she needs to decide whether or not she wants to continue being on the police force. However, she also learned a very important fact at the end of the first book (read book one) and she now hunts to track down answers. James is still the gung-ho detective that he was in book one. However, I thought that he was much more patient with Angie in this book. He also didn't have as much going on in his own life and was able to focus more on the thriller aspect of this story. While Angie searches for answers, other people from her past crop up and make things complicated, dangerous, and interesting. I really enjoyed her hunt. This is a fast-paced story that just kept getting more interesting. I wanted to read faster and faster the more we learned. I really enjoyed it and can't wait to see what happens next. I wanted to love this story. A detective story set in my hometown with a wonderfully flawed female protagonist should have been a perfect fit for me. But for me, this was a slow, hard read. And I’m still trying to process why. I didn’t completely warm to either Angie or Maddocks and I struggled with the slow pace of the slightly unruly plot. Angie isn’t always a likeable main character, but I usually love the flawed detectives in British and Scandi Noir crime stories. Angie is a talented detective, but she is seriously damaged and she seems unable to make any decisions that actually help her career, her reputation, or her personal life. I preferred Maddocks, but he is a little bit bland in this book. He is neither a hero nor an antihero and as a romantic interest he’s a little bit insipid. These two are a frustrating partnership and their poor communication only seems to make things worse. I enjoyed the way that Angie’s investigation into her personal history ties into Maddock’s active case, but there were times when the links all felt a little bit too convenient. And despite the ongoing detailed explanations of both Angie and Maddocks’ investigation, there was still too much left to be summed up for readers in the final pages. When I read a mystery, I want to figure out the story alongside a detective and it wasn’t possible with this one. The narration skips from Angie to Maddocks to Holgersen throughout the story and I’m still not sure what Holgersen’s narration adds to the book. He might become a more important character as the series progresses, but his interludes were a little bit out of place in this book. Again, I wanted to love this story but I felt like I had to fight my way through it. It is dark, the story is complicated, and it unravels slowly. Even though it is set in Canada, it feels like a bleak Scandinavian mystery. I’m sure there are readers who will enjoy this series and I did love the familiar BC setting. For reviews & more info, check out our The Drowned Girls post. 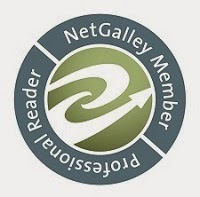 Reviewers on the Wicked Reads Review Team were provided a free copy of The Lullaby Girl (Angie Pallorino #2) by Loreth Anne White to read and review.